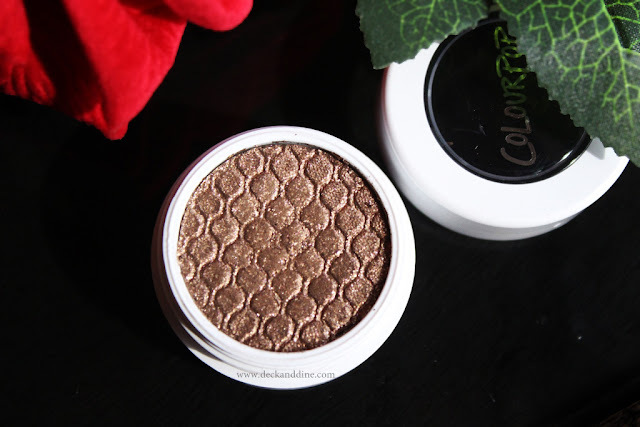 I have been hearing so much about the Super Shock eye shadows from the house of Colourpop and finally, after months wait, I got a chance to try out few shades. 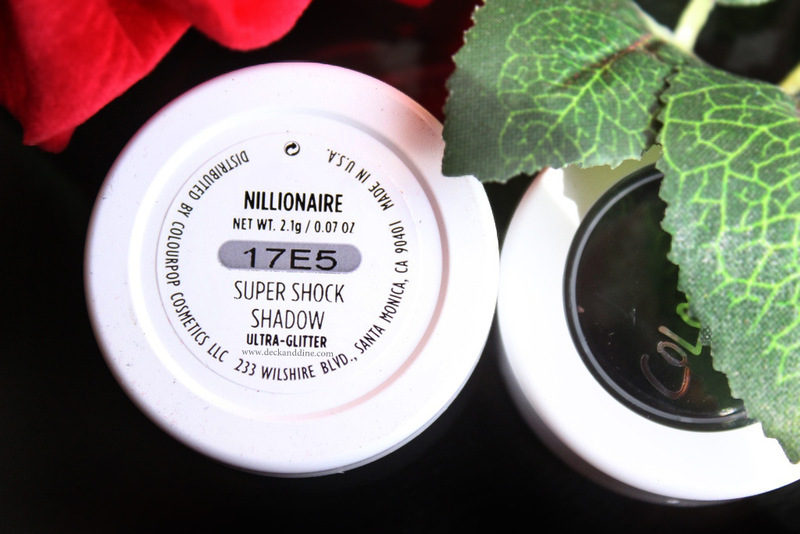 Today’s review is on a super gorgeous eye shadow from the range and it is called Nillionaire. Our revolutionary creme-powder eye shadow, famous for its unique bouncy texture, delivers bold matte color in one swipe without creasing, fading or fallout. 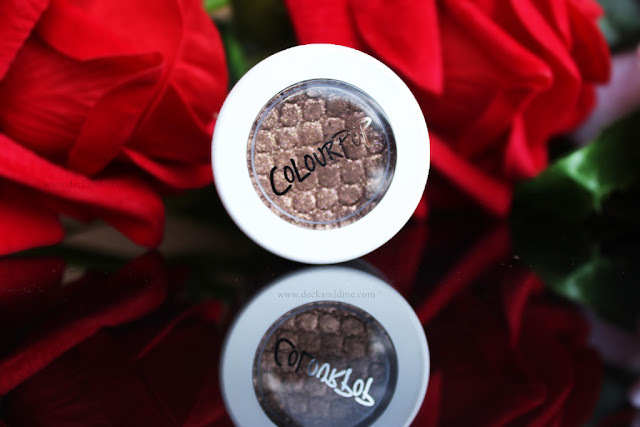 The eye shadows come safely enclosed in round shaped cases with screw lids. Lightweight and compact. The transparent lids make it easy to detect the actual shades inside. Colourpop describes “Nillionaire” as “bronze with pink and gold ultra-glitter” and I can’t agree more. I am so in love with this. The iridescent sheen is to die for. It is a bomb, absolutely stunning and these pictures do not do it any justice. It is a hell of a gorgeous shade. It can be used both in simple and dramatic looks. The glitters are “oh so smooth”, not at all chunky and don’t fall a bit and don’t move to the rest of your face. Absolutely LOVE! The texture is bouncy, kind of spongy and has a cushiony soft feel. The powder-gel kind of formula is super soft, smooth, feels light as air and blends like a dream. Decently pigmented but is easily buildable. So you can move from a sheer wash of glitters to a bolder one in seconds. Staying power is amazing too. It stays all day, no wearing off or creasing. Once you apply it, the glitters kind of sticks to you. 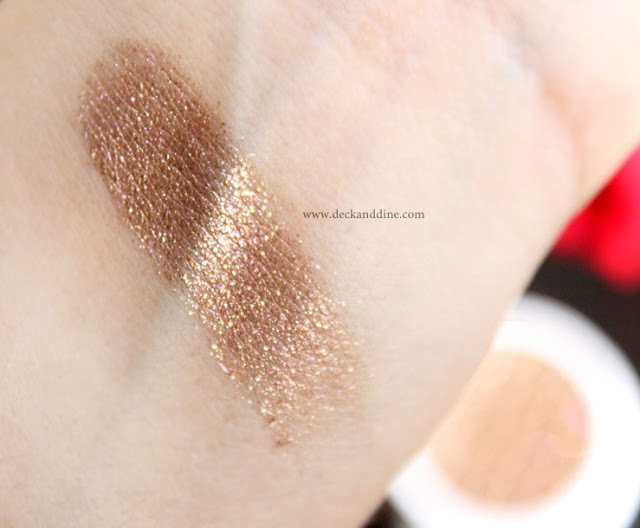 It is one of the most beautiful eye shadow monos I have in my kitty; so sparkly, so rich and creamy and so fabulous. I am in love with this creamy metallic. I often use this to add a touch of glam to matte brown eye looks. See the EOTD, I just dabbed it with a very light hand. 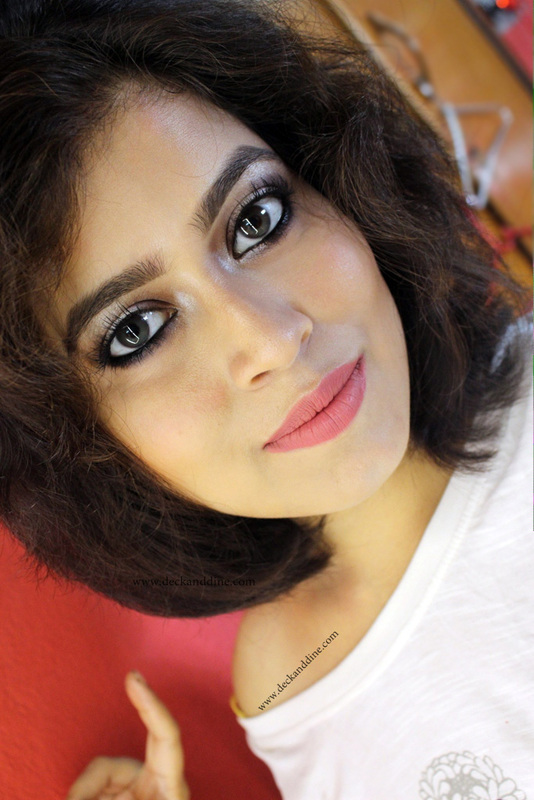 (Click HERE to know more about the brown eye shadow used there). I have even tried wearing this during day and the sheer wash of glitters looked breathtaking. 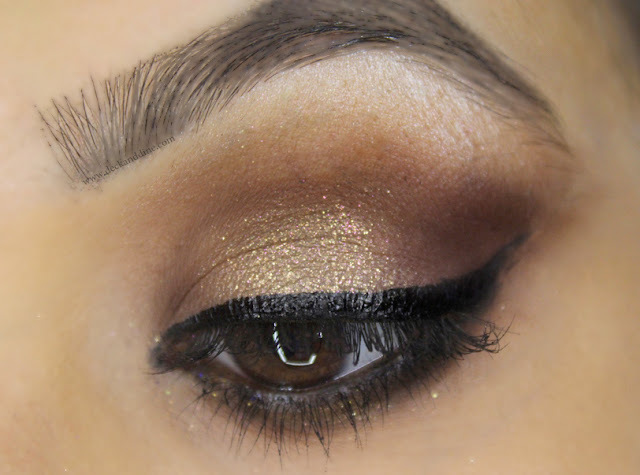 So if you like sparkly and glittery neutral bronze eye shadows, this one is for you. GET IT. U It looks so so so good on u.
Nillionaire has always been in my list and I dont even know why i fail to pick it up everytime I buy from colourpop. I am getting it for shade.. its a 5/5 product. 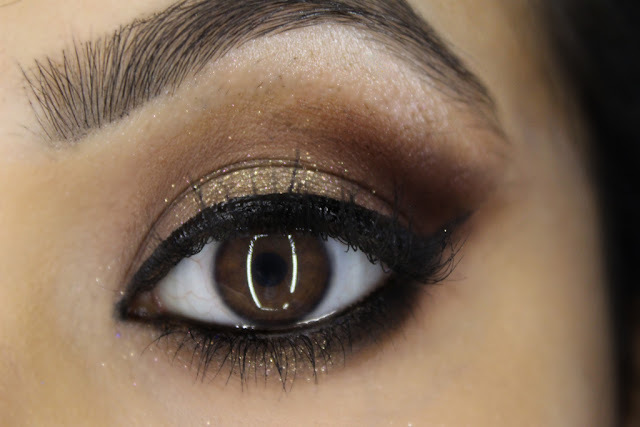 What a lovely EOTD! u r so good at eyemakeup's I am mesmerized. Wow, the shade is so beautiful and pigmented... I love Colourpop products but non-availability is the issue.. I love this eyeshadow. I need to take out mine. 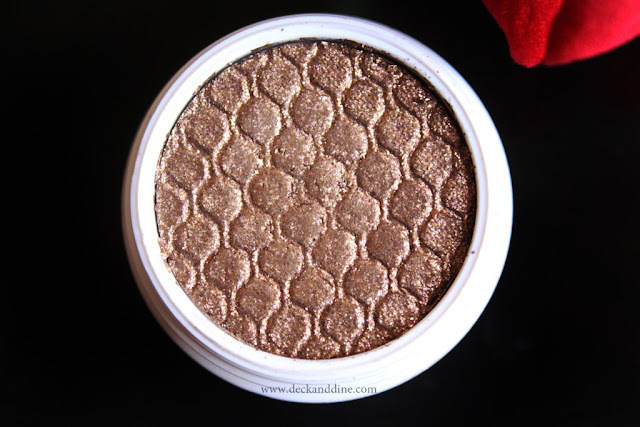 Love the embossing on the eyeshadow, the intensity and pigmentation looks amazing. Love the eye makeup.